Our pain specialists and friendly staff understand your desire to improve your quality of life. They will explain as they go along before, during and after every appointment. 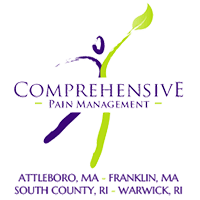 On your first visit to Comprehensive Pain Management, we will perform a complete pain assessment in order to get to know you and begin to evaluate your particular pain problem. This will include a detailed review of your medical history, a physical exam and review of any lab and imaging tests that you have had performed (such as X-rays, computed tomography [CAT] scans, or magnetic resonance imaging [MRI] scans) or other tests that have already been done. We will review interventional procedures and if necessary, perform a workers compensation evaluation. Evaluation or request of necessary x-rays to start the diagnostic process. A $50 cancellation feewill be charged for rescheduling any visit with less than three business days notice. This fee must be paid prior to you seeing your pain specialist.